Electricity cuts in South Africa are causing economic difficulties. Complete this sentence: The company suffers from gross ____management. 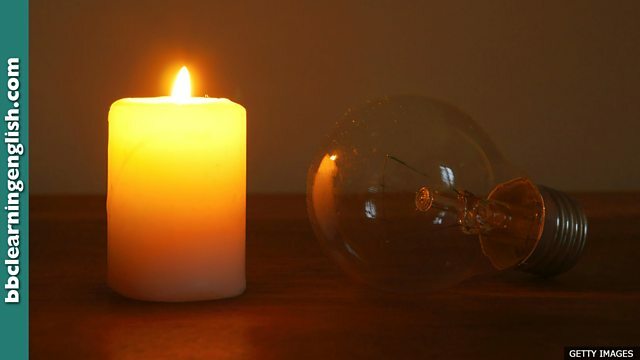 South Africans are facing a fourth day of severe power cuts. The troubled, state-run firm, Eskom, has appealed to customers to turn off all non-essential lights and appliances. The power cuts have caused transport problems in Johannesburg with many traffic lights switched off. South Africa's ageing network has suffered from years of mismanagement. • The government ordered a blackout so the enemy planes can't target the city at night. • I was wrong. Now I've studied a bit more, there's light at the end of the tunnel. There is a letter 'h' in this word. What's the correct spelling of this word, which means 'two bad things happening at the same time'? Which word describes a situation where there is no light or electricity? The first gap must be filled with a preposition of place. The second preposition is used to indicate possession. Which prepositions complete the gaps in this expression, which describes a sign that a difficult situation will end? 'Light _____ the end _____ the tunnel'.